The Sun is far more complex than it seems to be. It is not only a steady, unchanging disk in the morning sky. The Sun is a dynamic and magnetically active star which is continuously radiating energy out of it. Sun’s atmosphere constantly sends magnetized material outward creating an unstable magnetic field surrounding it, enveloping our solar system far beyond the orbit of Pluto. Magnetic energy results in an explosion which comes out with light and particle radiation that travels through space and create temporary disruptions in our atmosphere. The influence of solar activity on Earth and other worlds are collectively known as space weather and the doorway to understanding its origin lies to the Sun. 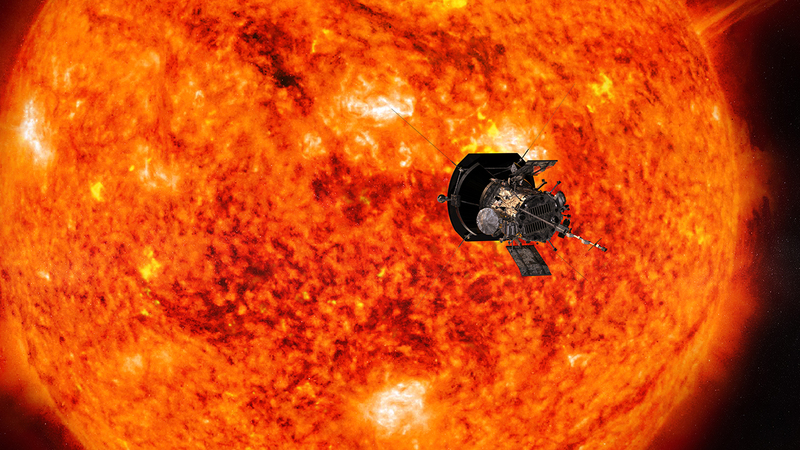 Therefore “NASA” is planning to launch mankind’s first spacecraft on a mission to Sun to study the Sun closely. The spacecraft is going to be car-sized that will move within 4 million miles in the solar surface, facing the extreme heat and radiation like no other spacecraft before. The Parker Solar Probe, which is expected to take off by August 6 from “United Launch Alliance Delta IV Heavy”, going to study the Sun closer than any other human-made object ever has.